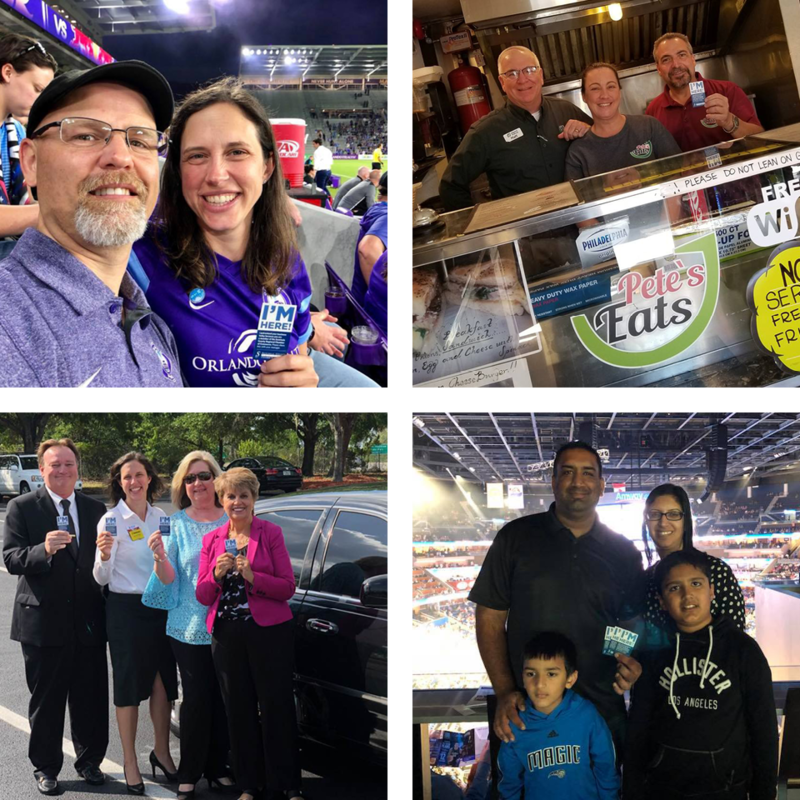 The Seminole County Regional Chamber of Commerce was looking for a simple way to help Chamber members express their appreciation for other Chamber members. I’m Here is a business card that Chamber members can use to let other Chamber members know that they have patronized their business. It’s also a tool they can use to help social media exposure to other Chamber members. Simply leave the I’m Here business card at another Chamber member’s place of business. That’s it! It’s an easy way for you to let other Chamber members know you have visited their business. If you are a Facebook Fanatic or Insane for Instagram, when you leave the card be sure to take a photo of the card, or a fun selfie with it, and post it to your favorite social media platform. Don’t forget to tag the Seminole County Regional Chamber of Commerce's page on Facebook, Instagram and LinkedIn, as well as the business you are visiting and use the hashtags #ImHere and #SeminoleChamber! We will be sharing our favorite photos we see! Let’s see if we can spread some Chamber love! Where can I get some I’m Here cards? You may pick up some cards from staff at any Chamber event. Additionally, if you receive an I’m Here card from another member, we encourage you to pass it on! The easiest way to know if a business is a Chamber member is to check our online directory here. Many businesses also prominently display their Seminole County Regional Chamber of Commerce plaque or window decal. How can I increase my company’s chance of getting an I’m Here card? Well first and foremost, you should be a member of the Seminole County Regional Chamber of Commerce. Secondly, you need to make sure others know you are a member. You can do this by displaying your Chamber plaque or window decal in your place of business. You can also include the Chamber logo on your website and other marketing materials. The Power of "I'm Here"
For several years, Rory Swindell actively participated in the Seminole County Chamber as an ambassador for another company. When he opened Quick Sell Auto, he joined the Chamber. Fellow Ambassador, Karen Raborn, paid him a visit and put her "I'm Here" visit on her Facebook page. 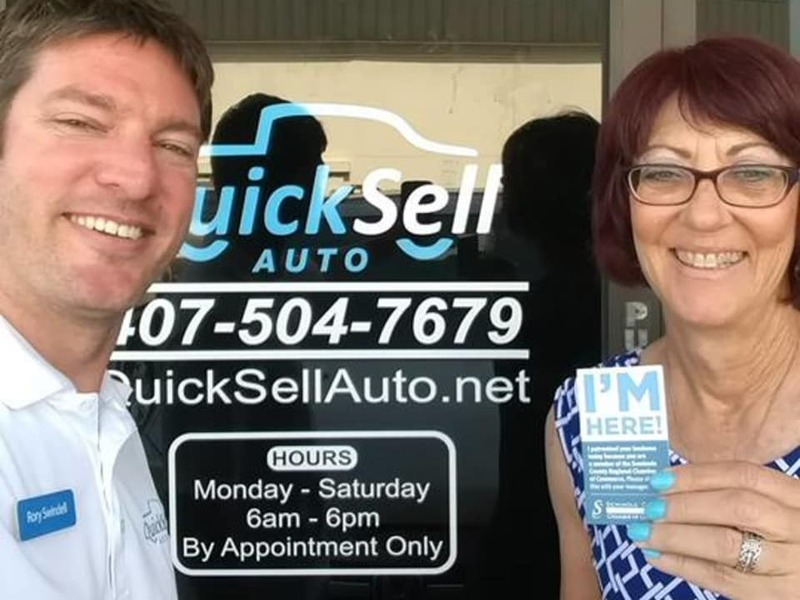 A mutual friend saw the post and referred someone to Rory and he was one of the first sales of Quick Sell Auto!